This device converts top pull front derailleurs to bottom pull and bottom pull front derailleurs to top pull. Available in 3 sizes 28.6, 31.8 and 34.9mm clamp diameter. Pulley wheel has plastic shield to fend off dirt and grime. 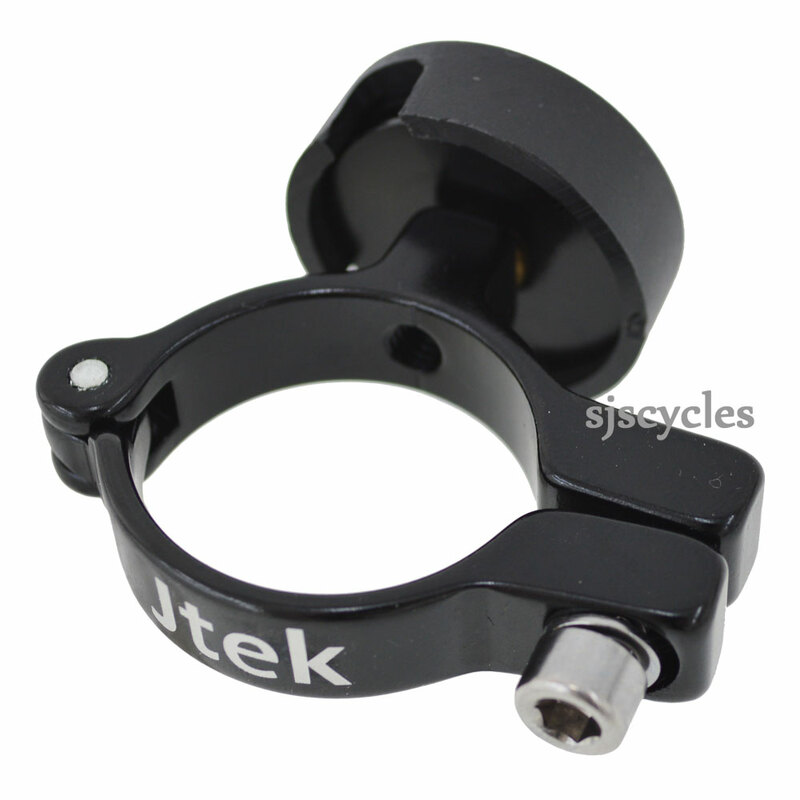 CNC machined AL6061 T6 alloy in black finish with silver Jtek logo.